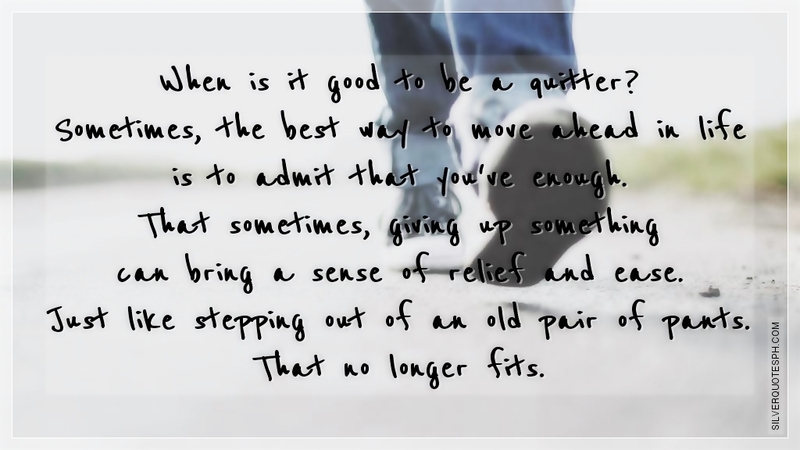 When Is It Good To Be A Quitter? When is it good to be a quitter? Sometimes, the best way to move ahead in life is to admit that you've enough. That sometimes, giving up something can bring a sense of relief and ease. Just like stepping out of an old pair of pants. That no longer fits.